Scrum is lightweight, easy to understand software development framework used for developing complex adaptive systems. It is the most popular Agile Framework and used in almost 65% software development projects. The scrum master is the crucial servant leader who ensures that the team is adhering to scrum value, principles and rules while delivering timely product to the customer. In 2017 alone, close to 200000 people got CSM certified in India and the demand is ever growing. Scrum offers a huge opportunity and challenge; the traditional project management methods are insufficient to handle growing complexity. If you are a project manager or individual contributor, your career becomes stagnant after 5-10 years; Adding new skills, getting certified keeps you relevant. Scrum and Agile are mainstream of IT industry today and Certified Scrum professionals are much in Demand. The traditional project management methodology is no longer effective in dealing with the ever-changing market conditions. The Certified Scrum Master Training in Delhi is based on Scrum guide, and the Scrum Alliance Learning Objective 2017, this hands-on Workshop by an expert CST will help you understand, what is scrum, its uses, best practices, values, and principles. Lead Scrum implementation in your organization. Better visibility in front of the recruiters and Scrum Network. Be part of a thriving community of scrum professionals. Tremendous opportunity to learn and grow in scrum. Complimentary master program on scrum and Agile. Continuous learning and grooming beyond two days class. 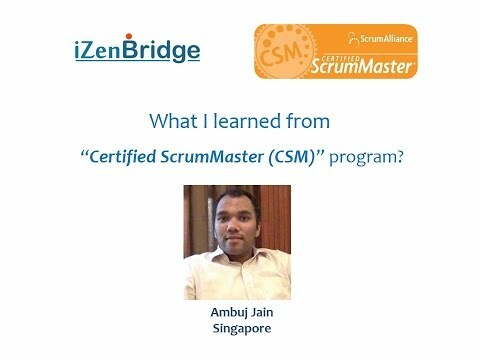 With iZenbridge, you get access to a plethora of Scrum resources (Online Scrum Master program, Scrum User Group, Expert webinar sessions) to help you embrace the Scrum values, principles, rules, ceremonies, artefacts so that you can lead an innovative scrum team for a greater success. Who Should Do Scrum Master program? This training is recommended to all members of Scrum team. Ideally, people who are playing the role of Scrum Masters, Project Managers, Product Managers, Development engineers, Testers and QA managers will benefit from this program. 2 days workshop, a complimentary online program on agile, scrum and kanban. 2-year membership of Scrum Alliance. Kanban for Software Development – Enterprises are using Kanban and Scrum both and as Scrumban for product development. This comprehensive $49 Program helps you start implementing Kanban at a team level. Create your personal brand as a scrum professional in Delhi. Take your Scrum journey to next level with advanced certificates like CSP and SAFe Agile, Agile Coaching and Kanban. Here is a compilation of frequently asked questions about CSM Delhi. If your query is still unanswered, please feel free to drop an email to sales@izenbridge.com and we will revert. Q. What do you mean by SEUs? A. SEUs are Scrum Education Units. One hour of Scrum Education unit is equal to one scrum education unit. Scrum Education units are required for renewal of your scrum certification. You can earn up to 30 SEUs from our CSM Workshop. Q. What are PDUs? How is it useful for me? A. PDUs are professional development units which are useful for renewal of project management institute’s certificates like; PMI ACP, PMI PBA, PMP etc. You can claim upto 16 PDUS from 2 days CSM class. Q. What’s the value of Scrum certification? A. Scrum offers a unique opportunity. The adoption of scrum ensures that a rapid feedback is possible. You can deliver the product faster and the customer gets value at the earliest. The traditional methods can not match the flexibility and scalability needs of a software project in the way that scrum can do. Q. Do you conduct scrum Workshop in Gurgaon? Q. What is the job prospectus for scrum masters in Delhi? A. Scrum masters are very much in demand in Delhi NCR. Some companies prefer people with technical skills to work as a scrum masters, while testing is another suitable profile for scrum master and product owner roles. Companies like HCL, Cevent India Pvt Ltd, UHG (Optum), Sapient, Globallogic, Nagarro Software, IBM, Mercer, Interglobe Technologies, TCS and many more companies are actively hiring for scrum roles. Q. Which companies are hiring for scrum profiles? A. Please check the answer above. Q. How do you support me in getting a job after getting certified? A. When you develop a working understanding of scrum, the job search becomes easy. The two days training focus on the practical aspects of your role as scrum master. Our participants also get a complimentary guide with scrum questions and answers (in video by Saket). On top of it, if you need a one to one career advice, you may talk to our trainer, schedule an appointment with Mr. Saket Bansal to create a personal career path. Q. What is the salary expectation for scrum master role? A. The scrum masters get around 20% higher salary as compared to their peers in IT industry. While there are so many factors including your negotiation skills which may impact your salary, a scrum master with good communication and facilitation skills has lot of potential to offer. Q. What will I learn in two days CSM class? Q. Is there any eligibility criteria for CSM certification? A. No, there is no such criteria defined, if you are a professional, looking forward to learn a new way of delivering a product faster to your customer, scrum is recommended for you. Q. Can I do self-study and take CSM online exam? A. Scrum Alliance values in person interaction over digital mode of learning. Scurm itself is collaborative in nature. A Scrum master training is not a two-days typical classroom learning, but rather an interaction and fun. While you can always download and study the scrum guide (Its an open source document), to get certified you need to attend a formal training led by a certified scrum trainer. Q. I am a software tester, should I go for a Scrum certification? A. The scrum master certificate is not limited to any profile. People with testing and Quality analysis profiles become a natural fit for the scrum master role, as a software tester you represent the customer. Testing role has a unique advantage while playing a scrum master role because of the ease of co-ordination with the product owner and end customer. Q. My company works in the waterfall model, should I go for CSM certificate? If yes, what’s the benefit for me? Are you getting sponsorship from your company to go for this certification? Is your organization planning to move agile? Is there any mandate to get certified in Agile? If it’s a service organization, does your current or the upcoming project requires you to move to Agile methodology? Is this a compliance requirement to get certification in Agile? In general, do you feel you are stuck or stagnant in your current role? Before deciding to self-sponsor, a certification like CSM, you should have a clear understanding of how you are going to apply this new skill in your workplace. Q. What’s the exam pattern for CSM Exam? A. The CSM exam Consists of objective type questions based on the scrum guide and what’s being discussed in the two days scrum workshop. The exam consists of 35 questions and you need to get 24 marks in order to clear the certification. You will get two attempts to clear the certification. Q. Do I need to go Prometric center to take Scrum master exam? A. No, the exam needs to be taken online, you don’t need to go to a Prometric center to take this exam. All you would need is a good internet connection, the exam should be taken on a laptop. Q. What is the exam fee? Is it covered as part of Training fee? A. CSM exam fee is included in the fee you are paying for the 2 day CSM workshop. Q. How Do I register for the exam? A. There is no separate registration for CSM exam. Your trainer will upload your data once the training is over. You will get the exam link on your email ID. Q. When and how do I take the exam? A. You get 90 days to clear your exam starting from the last day of your training. Most people are able to clear their exam on the second day itself. Its up to you how quickly you want to finish and get certified. Q. What is the exam composition and passing percentage? A. The CSM exam would consist of 35 objective type questions, you need to have 26 correct responses in order to pass. Q. What if I fail? A. Scrum Alliance offers two attempts to clear CSM Certification. 99% of the participants clear in first attempt itself. In case you fail in first attempt, you can clear in the second attempt. The third attempt would cost you $25. This has never happened to any of our participants. In case this happens, we will refund your training fee and invite you to repeat your CSM training in our next available batch. Q. Is this an open book exam? A. Yes, you may refer to the study material provided in the class. Q. Is Your trainer approved by Scrum Alliance? A. Yes, All trainers taking a CSM class would be certified by Scrum Alliance to deliver this training. Q. Are you a REP of Scrum Alliance? A. Yes, we are a global REP (Registered Education Provider) of Scrum Alliance. Q. How Does scrum Alliance verify that I have attended your training? A. The trainer will verify on behalf of scrum alliance before submitting the data for workshop participants. Q. What is the value of CSM certification? A. 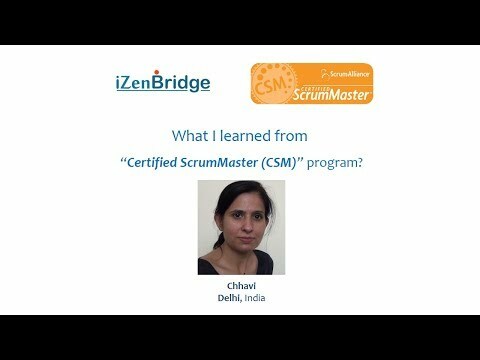 If you are looking for a scrum master role, CSM certification is a good beginning. This is a formal agile and scrum training based on the Scrum Guide which is the founding document of scrum. This training would be led by an expert Scrum Trainer who is approved by Scrum Alliance for delivering CSM workshops. It follows the defined curriculum and covers agile and scrum in-depth. Most companies hiring for the scrum role prefer people who are certified in scrum. Q. Do you need scrum master certification to work in scrum team? A. Its not mandatory. CSM certificate is good to have if you are working in a scrum team. By knowing and understanding scrum in a way it works, you can add much more value to your scrum team and overall success of the product. Q. Where can I have certified scrum master Course content details? A. CSM follows scrum guide. The latest course is based on the Learning objectives defined by Scrum Alliance. You can download the learning objective document on iZenbridge website or drop an email to sales@izenbirdge.com we will send you the course content and more details of the workshop. Q. What all roles I can apply after scrum certification? Scrum master – Scrum master is the servant leader within a team. The role of a scrum master is very critical, he/she keeps the team motivated, helps improve the communication within team members, resolves conflicts, removes impediments and brings transparency. Product owner – owns the product delivery and backlog. 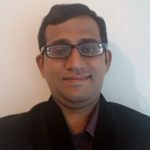 He is responsible for the communication with various stakeholders, prioritizes the product backlog items and ensure timely feedback from the customer. Team members – The other team members of a scrum team includes QA, developers, infrastructure experts, agile coach and other stakeholders. Q. Which agile scrum certification is most popular and why? Q. How often do you conduct CSM training in Delhi? A. Izenbridge is the regular and frequent provider of scrum certification workshop in Delhi NCR area. We have at least one workshop every 15 days in Delhi. If you are planning to attend the upcoming events or any event in future, feel free to connect with us. Q. Which agile scrum master certification do you recommend for beginners? A. If you are a beginner in IT, your first aim should be to get a role in a scrum team. Its not mandatory to have a certificate to start working in Scrum. Try building a working understanding of scrum, we offer a free beginner course which can help you get started, you can check more details on elearning.izenbridge.com and request access to the beginner’s complimentary program on agile and scrum. Its good to have a certified scrum master certificate when you start your scrum journey, but it requires a significant investment which can be heavy on the pocket if you have just started your career. Q. How scrum alliance CSM is different from other scrum certificates? CSM mandates a classroom workshop – unlike other certificates, Scrum Alliance makes it mandatory to attend a workshop by a qualified and certified trainer. It ensures that you get a first-hand knowledge of scrum before earning the certification. Clear certification path – Scrum Alliance has a defined certification path to help you grow within scrum. Start with CSM and you can earn CSP, CEC, and CST etc to move up in scrum ladder. Community support – Scrum is a people’s framework. You learn more by collaborating and working with others. Scrum Alliance has built a strong community of scrum experts and certified people, it supports you in continuous learning and improving over your lifetime. Scrum keep upgrading itself to meet the market demands so should you. Q. Where do you conduct scrum master certification training in Delhi? A. Our training location is mostly Mayur Vihar, Nehra place or other accessible places in Delhi NCR. We always keep connectivity in mind while organizing an event. Most of our CSM training happen in Country INN or Crowne Plaza hotels in Mayur Vihar, occasionally we conduct CSM workshops in Gurgaon as well. Q. What is agile and scrum? What is the difference between agile and scrum? Scrum is a framework within agile and like all other Agile frameworks, agile manifesto is the foundation of scrum. All principles within scrum are derived out of agile manifesto and enhanced to bring a working understanding. Q. What is an agile process? A. Agile software development refers to a group of software development methodologies based on iterative development, where requirements and solutions evolve through collaboration between self-organizing cross-functional teams. Q. Is Scrum and agile the same? A. No. Agile is an umbrella term for all iterative development methodologies While Scrum is one of the agile framework. Q. Why is it called a scrum? A. Scrum is derived from scrum formation in Rugby teams. The term was borrowed from a Harvard study. The analogy is driven between high-performing, cross-functional teams to the scrum formation used by Rugby teams. Q. What is a Certified Scrum Master? Its mandatory to earn two days in person workshop in order to earn CSM certificate. Q. What does a scrum master do? Motivate the team to follow scrum. Act as a servant leader within the team. Q. What is the most recognized Scrum certification? Q. What is a scrum master in IT? A. Scrum Master is a servant leader in IT team. SM role is limited to motivating the team and ensuring that the scrum framework is followed. A. Compensation of a certified scrum master depends on the experience level. Though, they earn 15-20% higher than their peers. In the experience range of 5-7 years Scrum Master can earn upto 15 lakh per annum as per the payscale.com and glassdoor.com data. Q. How do I become a certified Scrum Master? Enrol in our upcoming Certified Scrum Master workshop. Download the soft copy of CSM certificate after successful completion of the exam. Q. What are the roles in Scrum? Development team Picks up backlog items in sprint and collaborate to deliver on time. Other stakeholders Includes customer representatives, Senior management and external stakeholders who can give feedback on shippable items. Project manager allocates the work and maintains the WBS, timesheet and other records Scrum Master does not allocate the work, the team picks up the task as defined in a sprint. Scrum master works to remove impediments. Project manager controls the team and ensures that people are working on designated tasks Scrum master does not have any control. He/she only ensure optimal environment. Scrum masters ensures transparency and smooth communication. Q. Who owns the quality of Scrum team? A. Quality of the delivery is owned by entire scrum team. No one person is responsible for quality. The product backlog and the priority is decided by product owner after having a discussion with various stakeholders. A. The product backlog in scrum is owned by the product owner. Q. How big is a Scrum team? A. The ideal size of scrum team is defined as 9. It varies according to the organization. A large team defeats the very purpose of scrum. Q. How many roles are defined in a scrum? A. Scrum have defined three roles, Scrummaster, product owner and Scrum team members. Q. What are the Scrum principles? Q. How can transparency be promoted in Scrum? A. Scrummaster work relentlessly to promote transparency in Scrum. The team’s work is made visible, people discuss their progress and issues on daily basis, also the stakeholders and customer review the work after end of each sprint. I want to understand different Agile Certification options, can you help? What other Agile Training do you conduct in Delhi? A. We have multiple classroom workshops in Delhi including CSM, CSPO, SAFe agilest, SAFe PMPO, Kanban course and Agile Coaching. Please write to us on deepak.dubey@izenbridge.com; we will discuss in detail to guide you. Myself, Puneet Jigota, working in an organisation in the territory of Delhi. My age is 41 years and I am working with SMA India Pvt. Ltd. as a Admin. Manager. 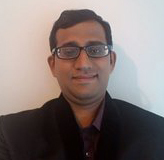 I am graduate (B.com) with 18 month NIIT diploma in the year 1999. Is this couse beneficial for me? Can I got job in this age after completion the course?